Would You Ever Buy A Blind Date With A Book? Seems simple enough: Is prostitute roulette worth exchanging one of your favorite books. Oh, judging by the comments I was a bit off. Don’t I feel silly. I never received the item…. There are bookstores that sell wrapped books, with a small written description on it. You cannot see the cover you buy blindly. Blind Date would you? Given how fast and voracious a reader I am, probably. Our library is doing this exact thing this month. They give you some small clues, but you do not know the book until you check it out. I would do it from a library, but I wouldn’t spend money on it because I’m quite the Scrooge with what books are worth purchasing. I probably worded my question wrong. There are book stores out there usually the smaller chains. They will take a book and wrap it and newsprint or a wrapping paper of sorts so you cannot see the cover. In a sense you would not be judging a book by it’s cover. 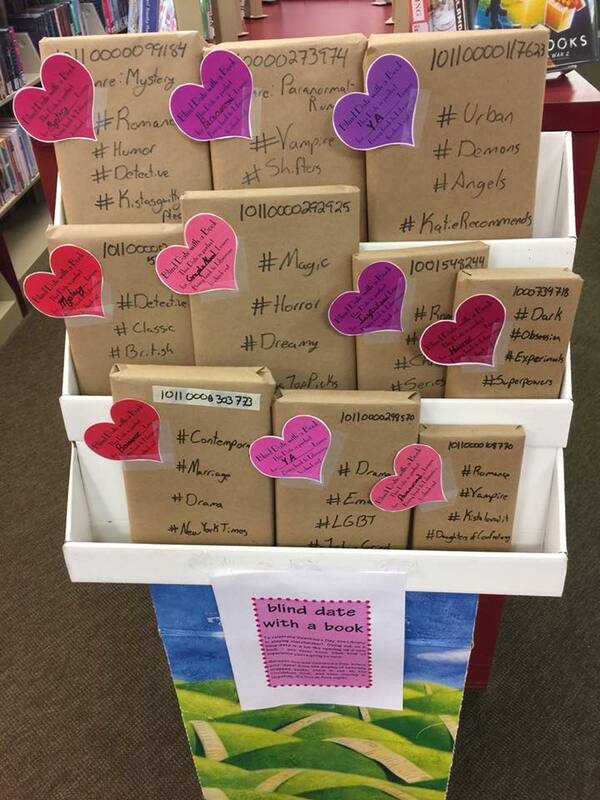 Then they write a small description on the wrapping and they have it for sale to see if anybody would buy the blind date with a book do you see? A lot of used book stores do this– so you don’t have to spend as much! I personally think it’s a lot of fun! Okay, from a used bookstore I might be more inclined…! Buy? I’m not agaisnt it, but I would proably never do so. Rent or gift? LET ME HAVE ALL OF THE BOOKS. It’s really fun, i haven’t gotten a book yet that wasnt good. Some are not really my style, but still a good book. Probably not. I am actually kind of picky. I don’t think so. I am selective and I would hate to get a book only to find out I would not read it. That would be taking it away from someone who would really enjoy it. I’m not sure if I would buy one, but maybe borrow one from the library if they did it. No, but if they’re free i get them! I’m running one of these at our town arts and music festival later in the year. I’m hoping people will donate wrapped books of their own and take one. My library does it so no need to buy. I’ve spent a couple years reading indie authors, not much different, what a wild ride and I never know what to expect. Unless there was a list of the possibilities and genre options… No…I’m very picky. Yes, I would. But here’s my problem with it…. most of the time the description has nothing to do with the book at all. But still if it’s not my cup of tea I will trade it in. I would it would be fun to be surprised. It might turn in to a great book. How about if the book was free, and you just had to pay media mail shipping? No. Too many ‘ifs’. It’d be like going to a restaurant and telling the server to just surprise you with a meal. Who knows what you’d get. Yes because I think the idea is amazing!!! I do a blind date book box! Very affordable compared to some of the book box’s out there and super fun! We have had some excellent reviews. As I posted above, I purchased a Blind Date with a Book item from the UK. Has anyone done this through a company in the US that they liked? Oh yeah. I’ve bought many a “blind date” books, and they turn out not much better than real blind dates…give or take a few. Never heard of blind date with a book. My library is doing that this month. They do that sometimes at one of the Libraries I got to. I think it’s a GREAT idea. Cause even though the quote says: “Don’t Judge A Book By It’s Cover” sometimes I do…in good and bad ways.